Zen Tan, 30s, the owner, started this stall in January 2018. I was the only customer when I went for early lunch. Zen seated at the table in front of his stall and stood up immediately when he saw me. I asked, "Are you a Taiwanese? ", which he replied, "No." That is quite obvious actually as he does not speak with the Taiwanese accent. 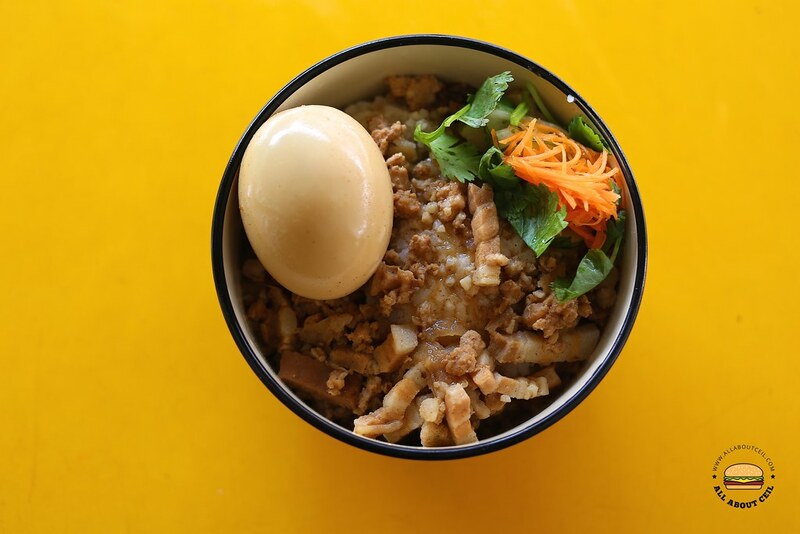 There are currently only 2 items on the menu, 卤肉饭 ($3.80), humble Braised Pork Rice, and 大肠包小肠 ($6.60), a popular street snack. I decided to try both. 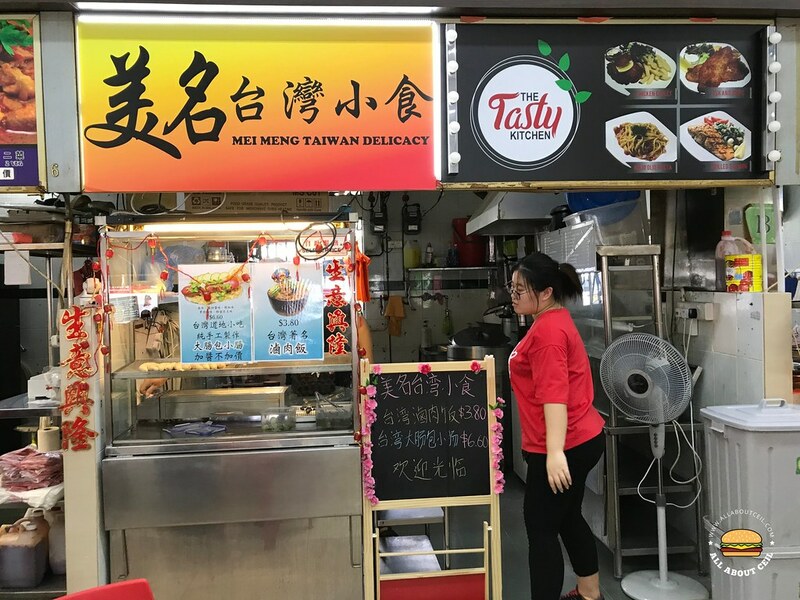 I have been a big fan of the Taiwanese Braised Pork Rice and it got me really excited when I got to know about this stall in Ang Mo Kio, they are located in a coffee shop near Mayflower Food Centre. Zen was telling me that he is in the midst of launching some braised items. He said, "These braised items are just like those that can be found at the night markets throughout Taiwan." He mentioned that he tried the 卤肉饭 at Macpherson and in AMK Hub before starting this stall. He said, "An elderly couple at Tainan taught me how to cook 卤肉饭." I asked, "What were you doing before starting this stall?" He said, "I was in the construction industry." He continued to say, "My friends were surprised when I decided to set up this stall as they did not expect it." While eating, he came over and asked, "How was it?" I replied, "It is not saltish enough." He said, "I adjusted the level of saltiness a little as most of the customers find it to be too salty." I also mentioned that the rice was a bit too mushy. He said, "I am already using good quality rice and if I go any better then I would be left with little benefits." It is a common challenge amongst the hawkers to stay competitive by keeping the costs low. I said, "It would be nice if there is more flavor from fried shallots." He shared that the elderly couple was really patient when they taught him how to fry the shallots. I mentioned, "There is a popular stall at Seah Im Food Centre serving 卤肉饭. 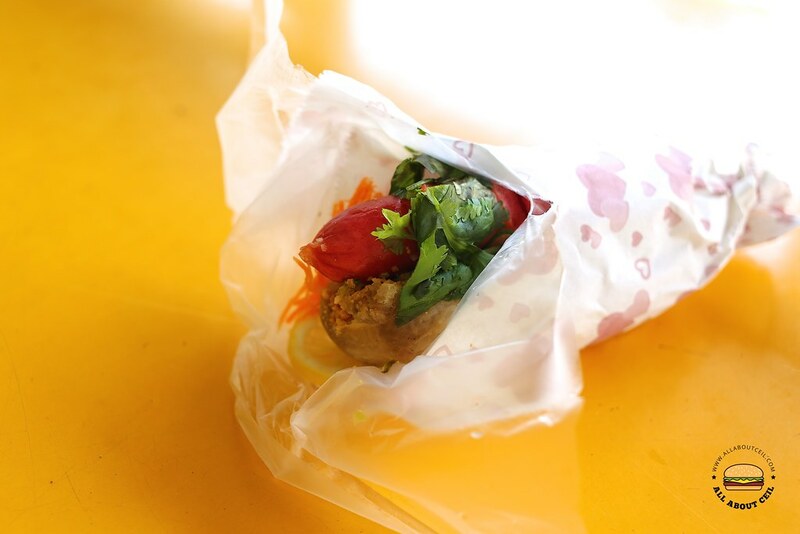 I think you should give it a try as their 卤肉饭 is the closest to what I had eaten in Taiwan." When preparing the 大肠包小肠, he said, "You would not be able to get this in Singapore other than here. I handmade those glutinous rice rolls and it is very time-consuming. I have to be here as early as 6 am to get it going." He asked whether I want to have it cut into smaller pieces. I replied, "No. I am taking pictures." He made an effort to wrap it nicely in the wrapper before handed it to me. I only tried 大肠包小肠 once at Feng Jia Night Market in Taichung but it was not quite memorable. I mentioned to Zen that the price seemed a bit on the high side. 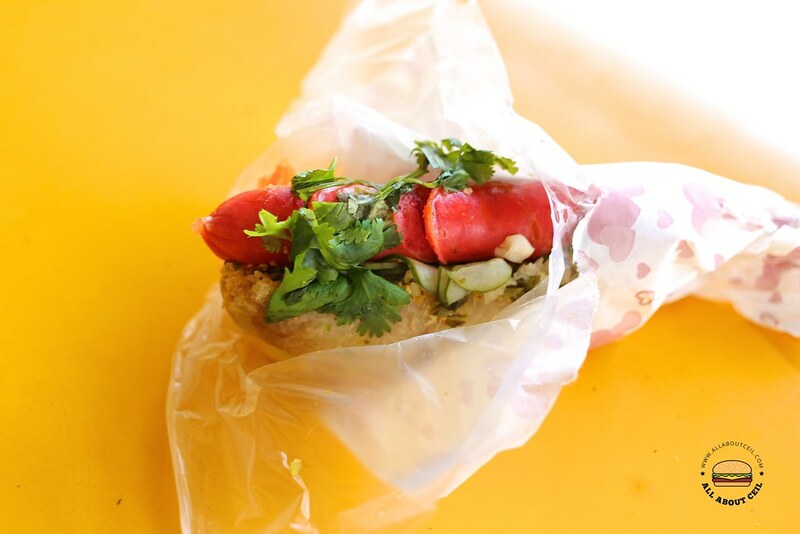 The grilled glutinous rice roll was sliced at the centre, it was topped with ground peanuts, salted vegetable, shredded carrot and slices of cucumber before placing the grilled Taiwanese-style hot dog on it then garnished with coriander. You could choose to have it plain, or with sauces. 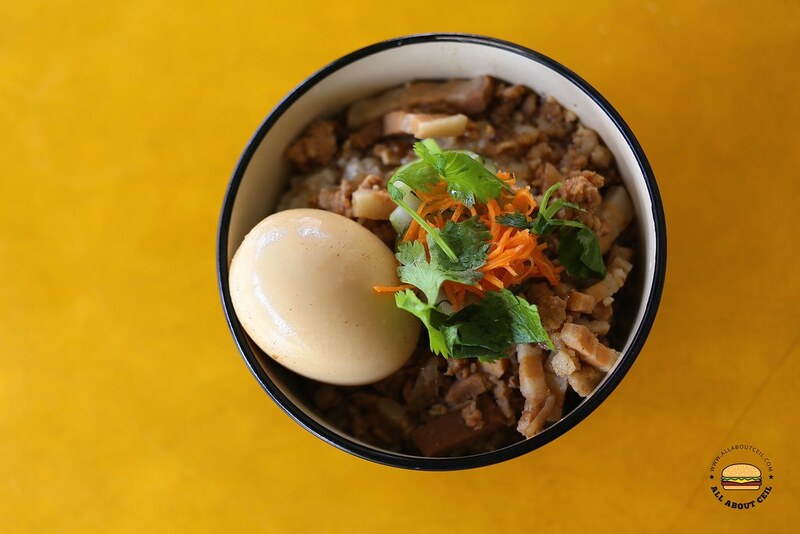 As mentioned by Zen, this is likely to be the only one that you could get in Singapore. Zen is still in the midst of perfecting the taste for both items. We should give him more time to work on that. Nonetheless, it is heartening to see a new hawker in doing his part to preserving our hawker culture.